The inputs are CMOS and not TTL, this means that the high voltage should be 0.7 of the supply voltage and the low is 0.3 of the supply voltage or 3.5Vdc and 1.5Vdc (shown in picture for WS2811). If you chose to drive the input with 3.3Vdc logic levels, it does not meet the specifications. This means that the manufacturer will not guarantee that the part will work over temperature or power supply voltage levels. 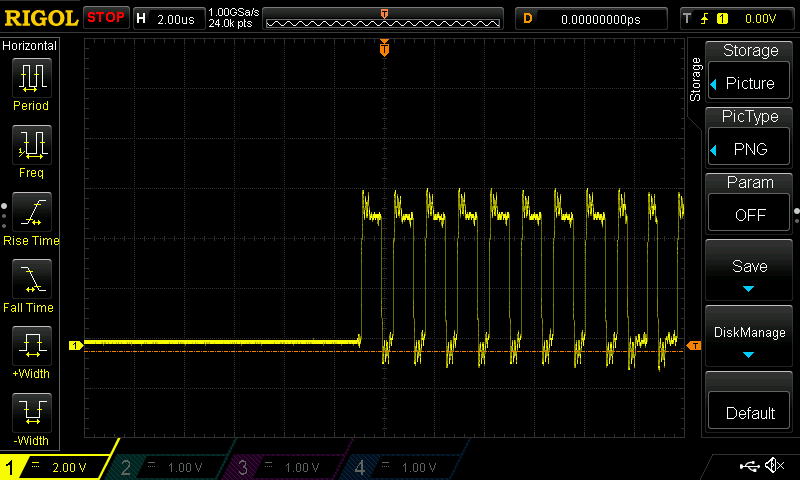 So it is best to drive these inputs with 5.0Vdc CMOS drivers. 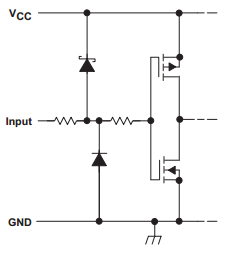 When driving these inputs from 3.3Vdc logic it is best to use a TTL to CMOS logic translator, and the following logic families will work HCT, FCT, ACT. Anytime there is an electrical signal being sent down a wire it is a transmission line. 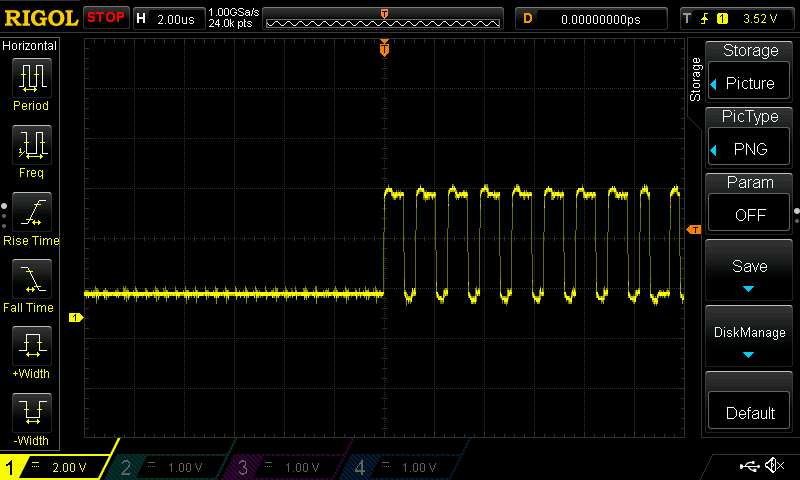 This characteristic can be ignored for the most part if the data rate is under about 1Mhz. However, if you want the best performance for the signal, you treat it like a transmission line. In a transmission line, the signal’s field will be terminated to ground. This can be in the form of a shield around the wire, a twisted pair, or the ground plane beneath a trace on a printed wiring board. In our case for a low frequency signal it is a twisted pair. This also applies for DC power. More information on transmission lines can be found on wikipedia. In either case the signal is properly terminated, which minimizes the reflections on the line. These reflections look like ringing on an oscilloscope, as shown in the picture. Improperly terminated signals will minimize the distance that you can send your control signal. Most twisted pair wires have an impedance of 100 to 120 ohms, which is the proper resistor termination value. Use Ethernet cables or twisted pair cables to run your control signals, DATA/GND, and/or CLK/GND. The proper termination for source termination is 100 ohms. This can also be used between pixels, to extend the reach of the control line. Using source termination and Ethernet cable, I was able to drive a string of WS2811 pixels at 100 feet. This was using an ACT driver, which sources more current than the normal HCT drivers. Experiment for yourself to determine how far you can drive a signal for your application. I was not expecting to reach 100 feet with source termination, so used the scheme below to try an improve the signal. With the source termination method there is very little current in the wire due to the high input impedance of the CMOS chips. 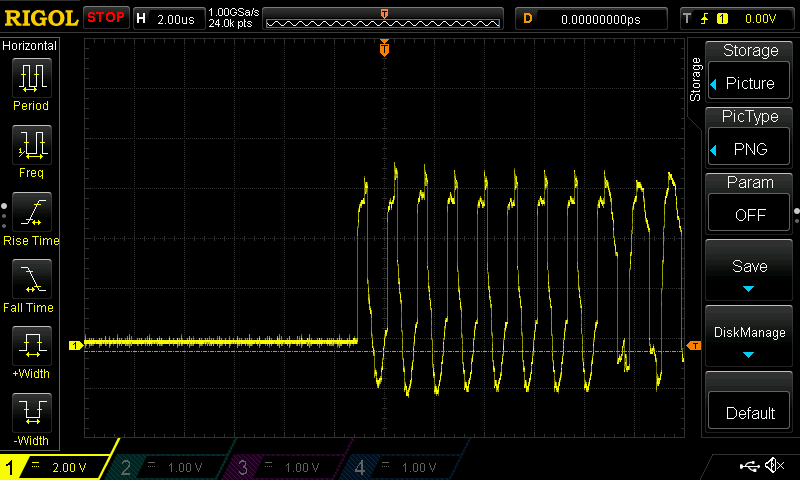 Generally to have the best results current should flow in the circuit like RS-422, which has about 40mA of current. The current in the drivers on my board will support 25mA, so I have a modified termination scheme that produces a very clean signal at the end of 100 feet of Ethernet cable with close to 120 ohm termination. The source termination used was 33 ohm to reduce the fast rise times of the buffer chip. The end termination is done with two resistors as shown in the schematic. So the picture below is the signal at a 100 feet.